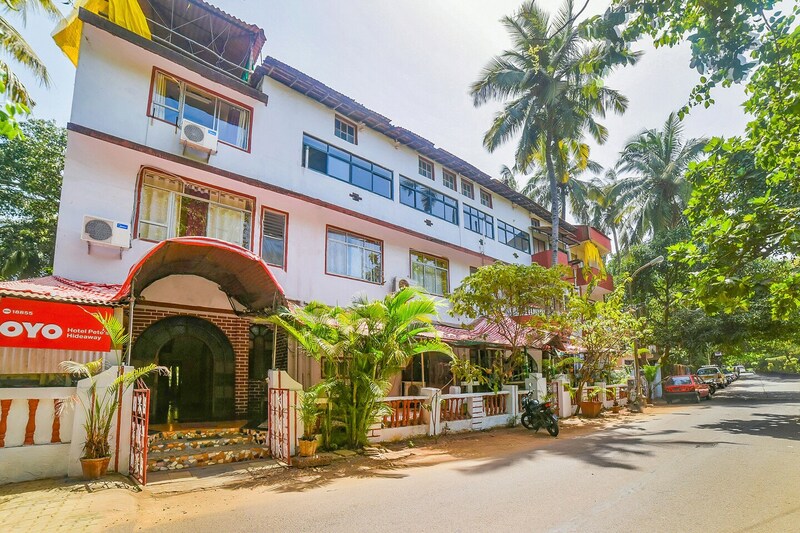 OYO 18855 Hotel Pete's Hideaway is the right choice if you want to stay close to Goa action while enjoying a comfortable stay. OYOs skilled and friendly staff is always on their toes to cater to all your requirements. Designed per the needs of a contemporary traveller, you can find all the amenities such as Complimentary Breakfast, Free Wifi, Power backup to your comfort. Wander around the city visiting its top attraction like Maruti Temple, Shri Marutirai Sansthan and Immaculate Conception Church. Come back to rest your head in OYOs peaceful environment. In case you run out of cash midst your shopping spree, visit State Bank of India ATM, Corporation Bank ATM and United Bank of India ATM located nearby.